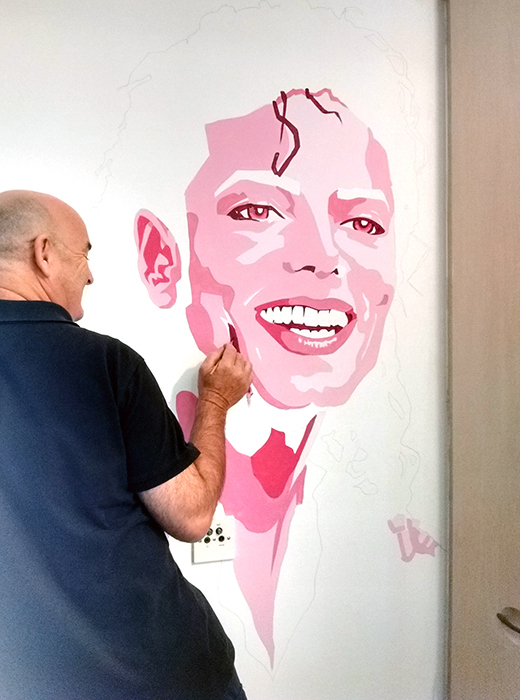 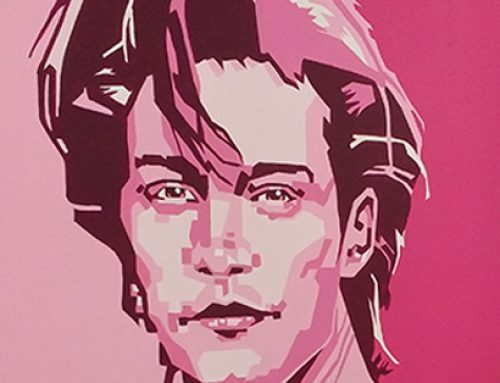 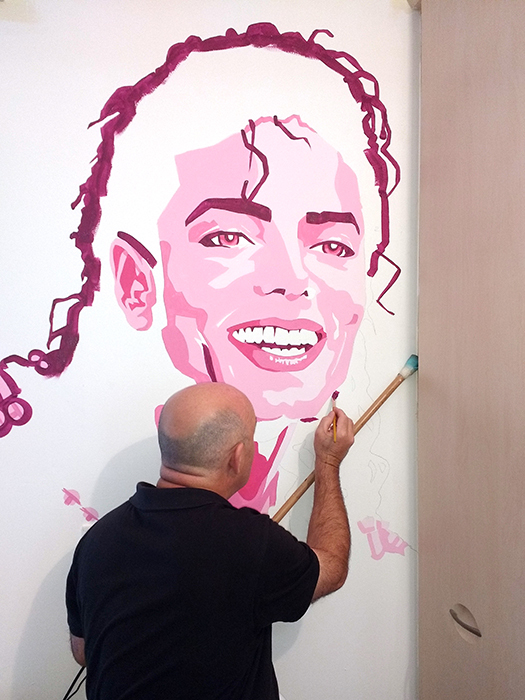 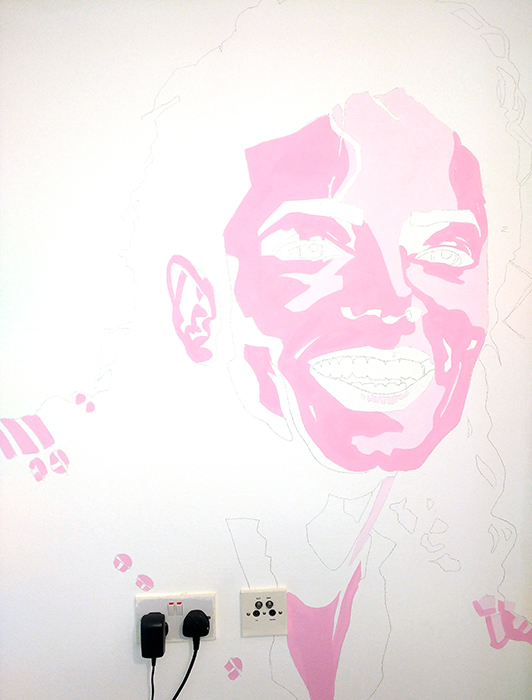 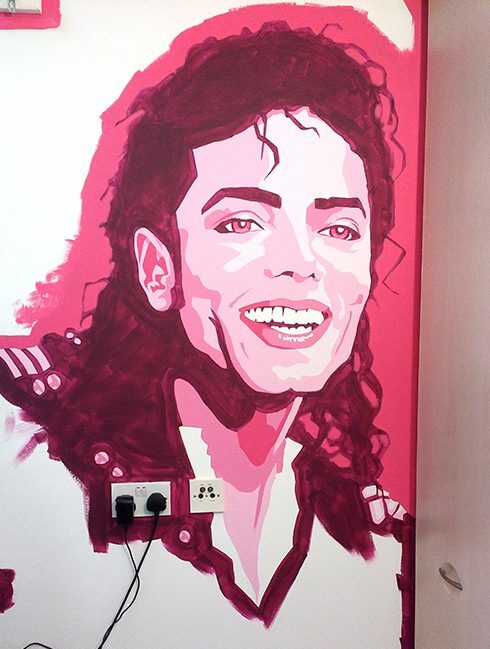 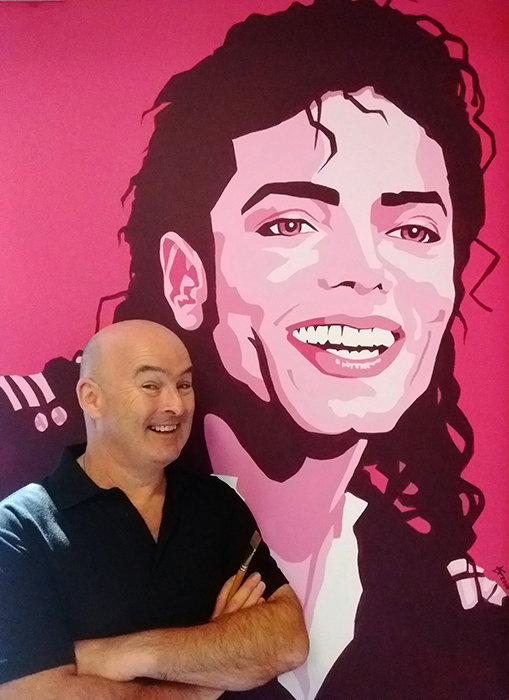 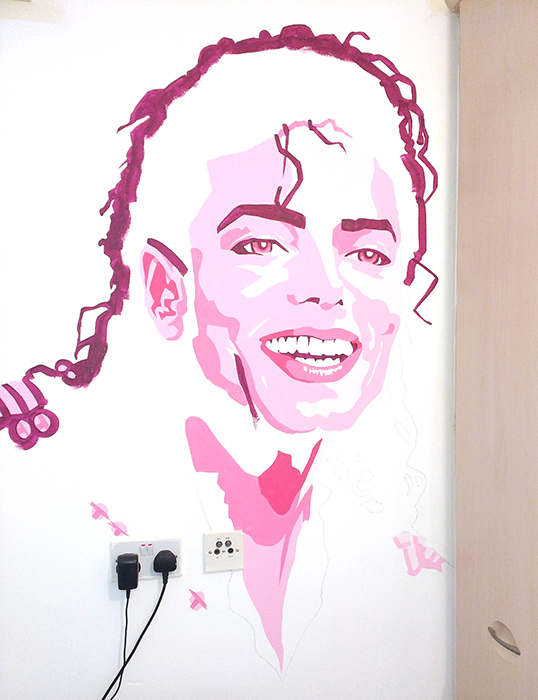 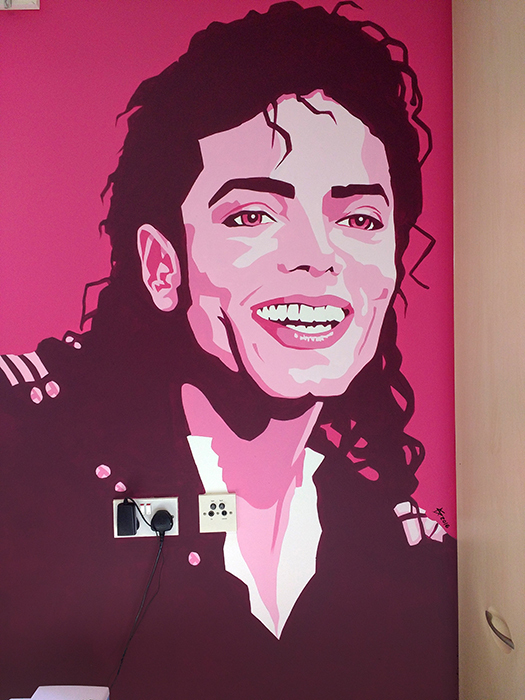 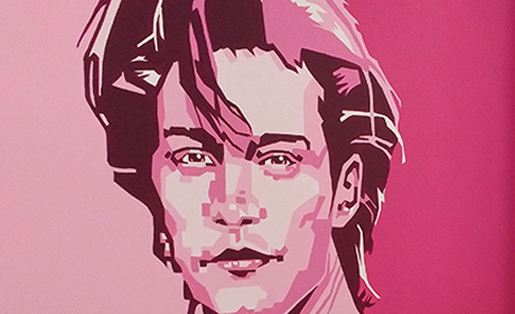 This interpretation of the late Michael Jackson was painted in pink to fit in with the other decor of the bedroom…and just because a girl loves “pink”. 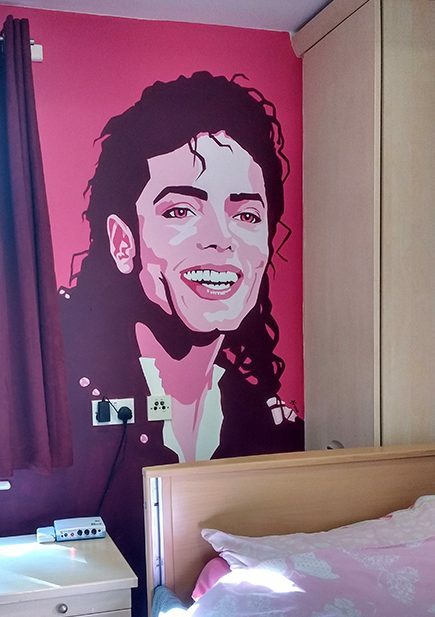 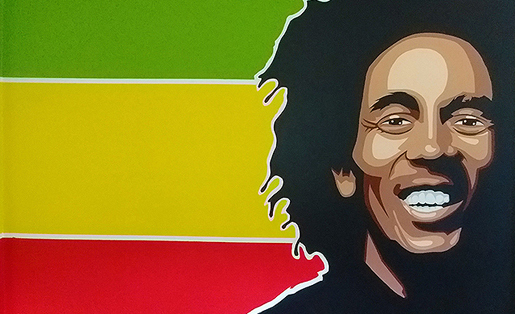 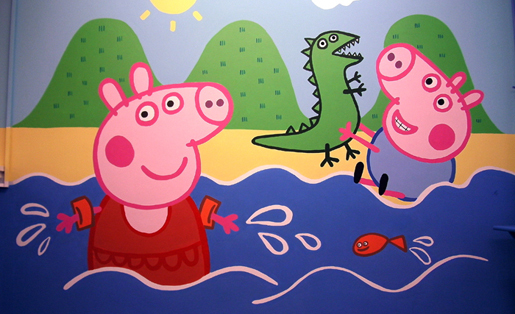 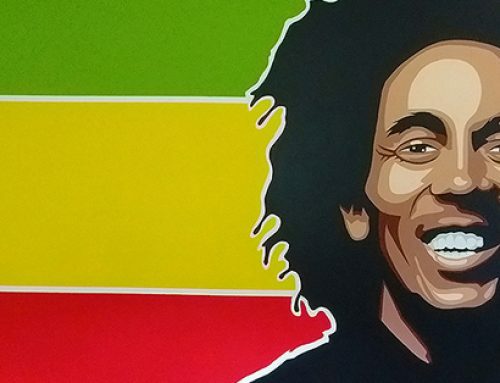 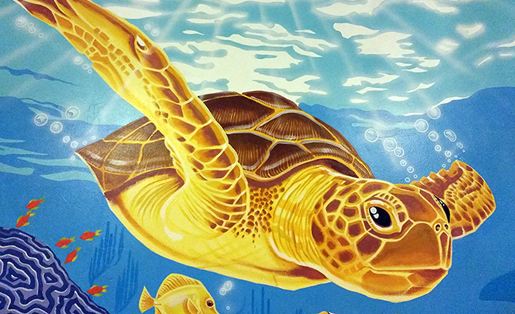 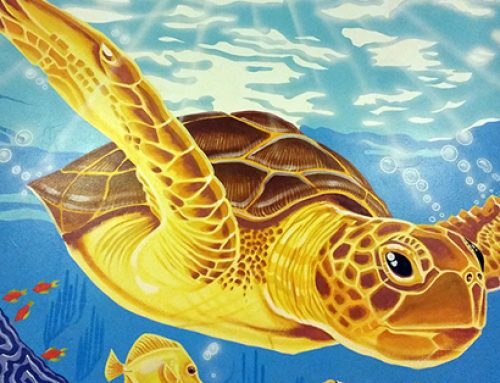 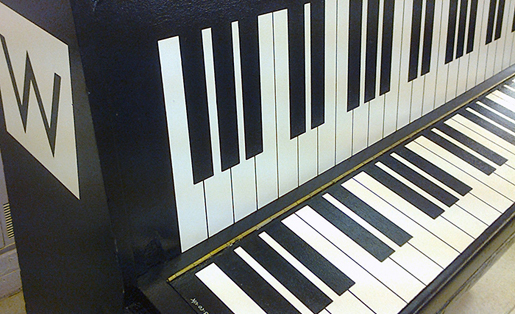 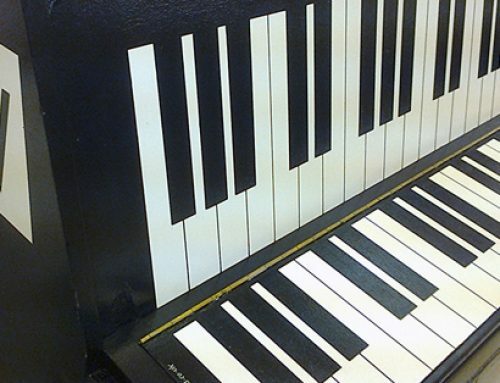 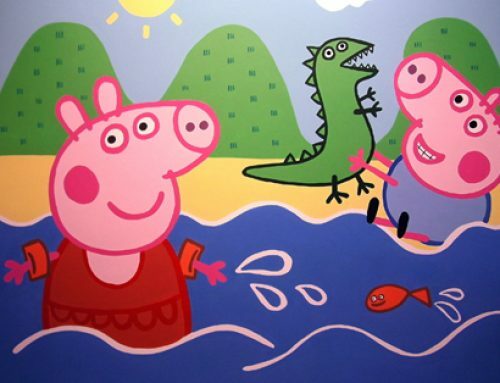 It was painted in just a few days in a residential care home. 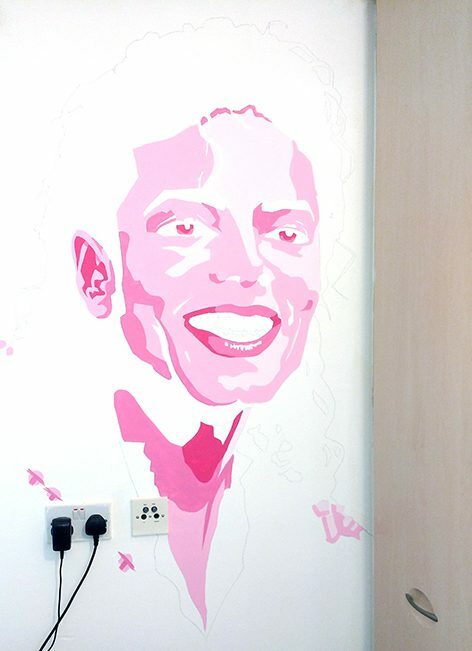 Needless to say she’s a big fan of MJ!